Having a clean home can be a difficult task for some people, we are constantly battling for space and struggling to organise our stuff. 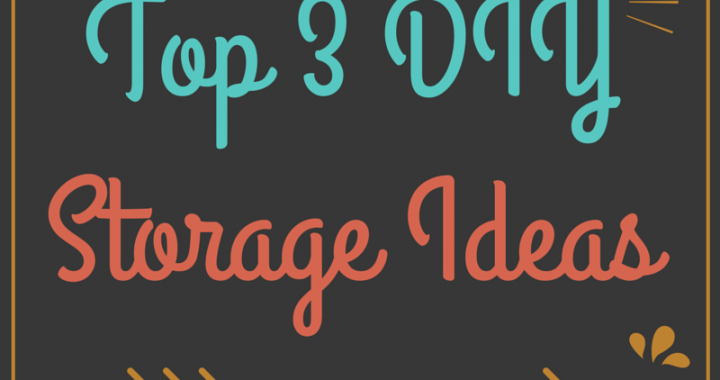 Storage units can be a great way of putting away things that are getting in the way and are not being used. But, how about a bit of DIY for some of the things at home, that could make your home cleaner and better managed? Below are a few examples that could help you, sort out all the clutter in your home. This shelving storage unit from IKEA has been transformed to be more organised and attractive. You can just imagine how cluttered the shelf could look in the ‘before’ picture. With the addition of the baskets and introduction of folders for files, and a slight revamp on the design, the DIY shelf in the ‘After’ picture looks trendier and super organised! This is a particularly great idea for those with small rooms or not enough space and is a perfect way to hide away things that make your room look overly full and messy. 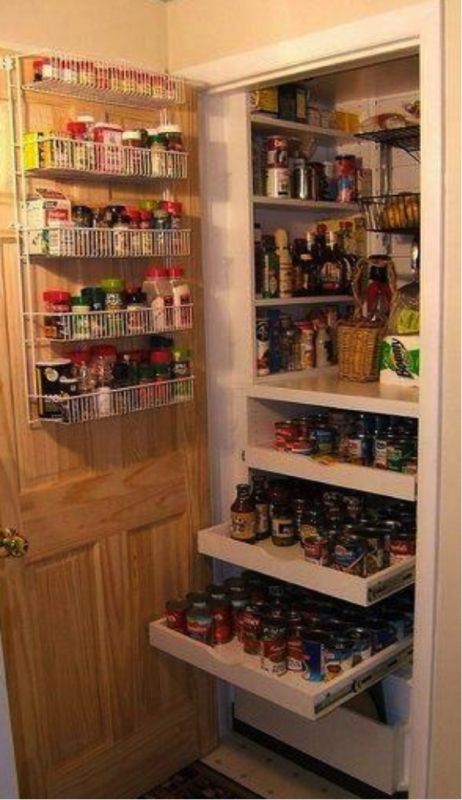 Storing jars, cans, spices, flavourings seasonings, bottles etc can all get pretty messy inside a kitchen cupboard. There can be spillages, it can be hard to find what you need and you generally don’t fancy opening the door in fear of seeing how disorganised it is. 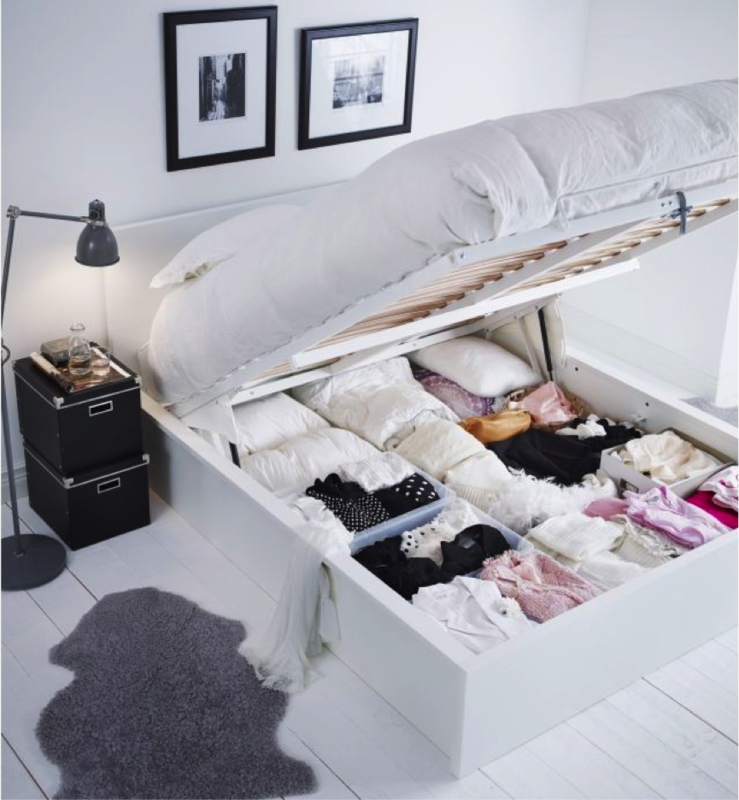 Below is a great example of how you can organise the space to keep everything in one place and neat & tidy. Adding a shelf to the door, gives you extra space inside, and the drawers that you can pull out will help you avoid rummaging your hand to the back hoping to pick what your looking for. The baskets on the wall can be used for your potatoes or onions. Shelves, boxes and drawers can all help to make your kitchen cupboard a better place! If all else fails, and you find there is still too much clutter in your house with things that just cannot be organised then you may want to consider hiring a storage unit, until you know what you want to do with it!